I finally gave in. I am waiting still to see the result of the Easy Peel procedure that was done on me last July 3, 2010 at Flawless. Watch out for my post on that next week. 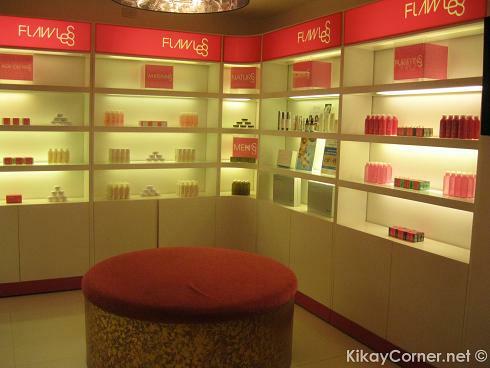 I would have to say that I have found myself a favorite place and it is so close to home – Flawless SM Marikina branch. The staff and the resident doctor are the most accomodating that I have ever encountered. 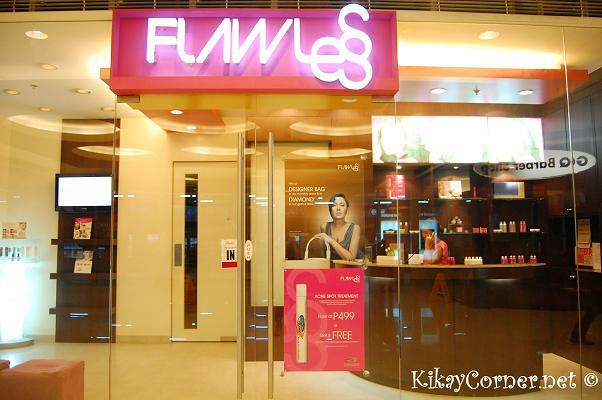 The very first impression I’ve had of Flawless in SM Megamall is that they have a very accommodating staff. I think this alone can make or break one’s brand. I love it that even as I headed in for my first try of Flawless Body Scrub, that made me feel comfortable to spend more than an hour with nothing but my birth suit. Crazy cystic acne is a nightmare that is faced by many. Although I did not exactly experience having one (thank heavens for the good genes that my folks passed onto me), this is really a frustrating, even embarrassing experience, at least for the people I have encountered who had to deal with one. Yesterday, I got my milia taken care of by a lovely dermatologist by the name of Dra. Alberto. Milia started to surface all over my face (mostly, right cheek) when I used a particular skin product. The procedure was hardly painful. Although dear doctor had to cauterize a few stubborn ones. That’s me on the picture, prepped with a topical anaesthetic on my face thirty minutes before the milia extracting procedure. This is basically what every woman wants. A clear, blemish free skin. Here is an alternative to the not so brave to go under the knife like myself. A non-invasive diamond peel right from your very own home. The Polishing Peel by NuSkin will give you that smooth lift without the sting. It is an extract from pumpkin that is designed to lift out dead cells giving your face that bright and glowing peel. It banishes the dullness and leave skin smooth as silk. Ideally, this should be used three times a day. I used to but I personally have used this just once a week. It is gentle to the skin unlike the more popular facial scrubs. This is not a paid advertisement.